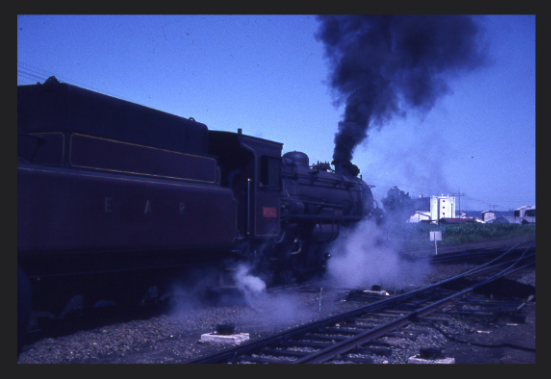 We return to Nakuru to pick up again on what is now the main line. 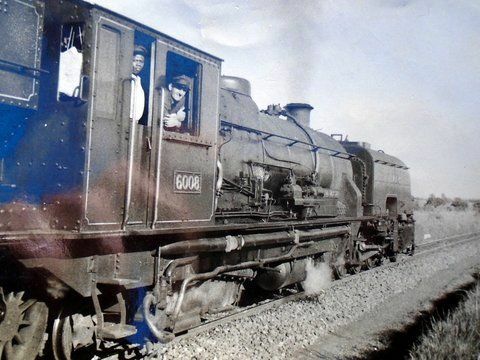 In 1929 the Uganda Railway became Kenya and Uganda Railways and Harbours (KURH), which in 1931 completed a branch line to Mount Kenya and extended the main line from Nakuru to Kampala in Uganda. A few pictures of locos at rest in the MPD. Nakuru Shed, © Archie Morrow. 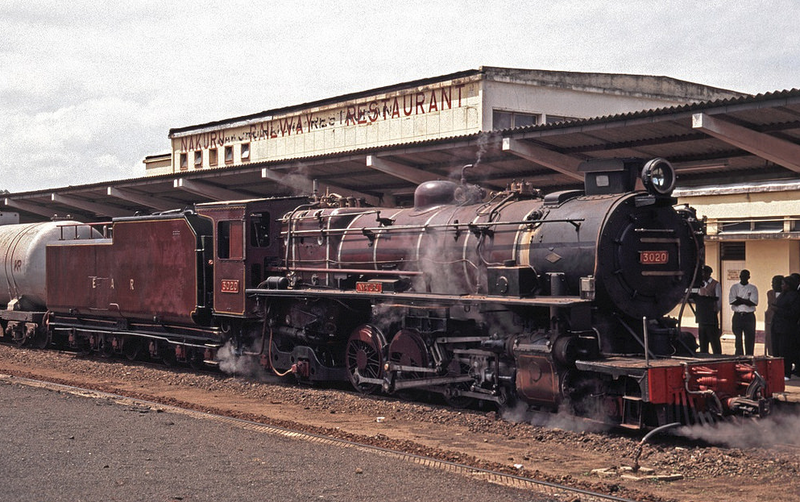 Class 54 Garratt in Nakuru Yard, June 1963, © Neil Rossenrode. 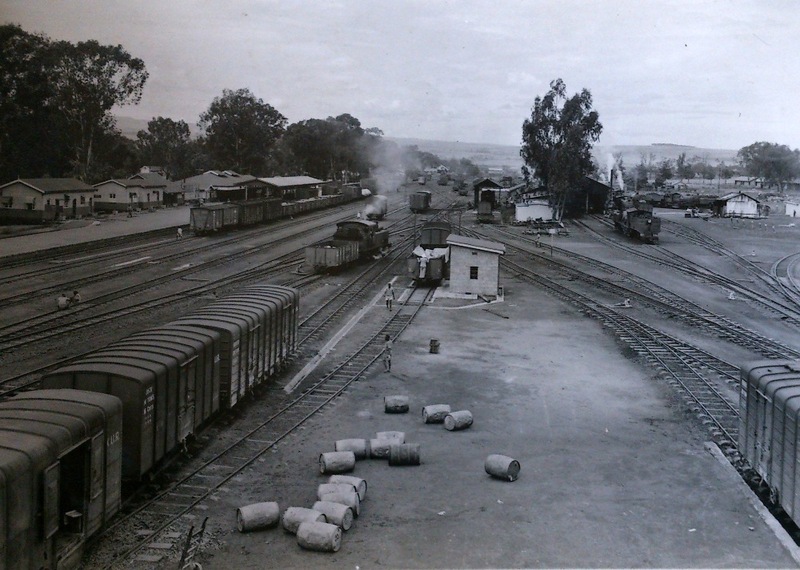 Nakuru Shed and Marshalling Yard. 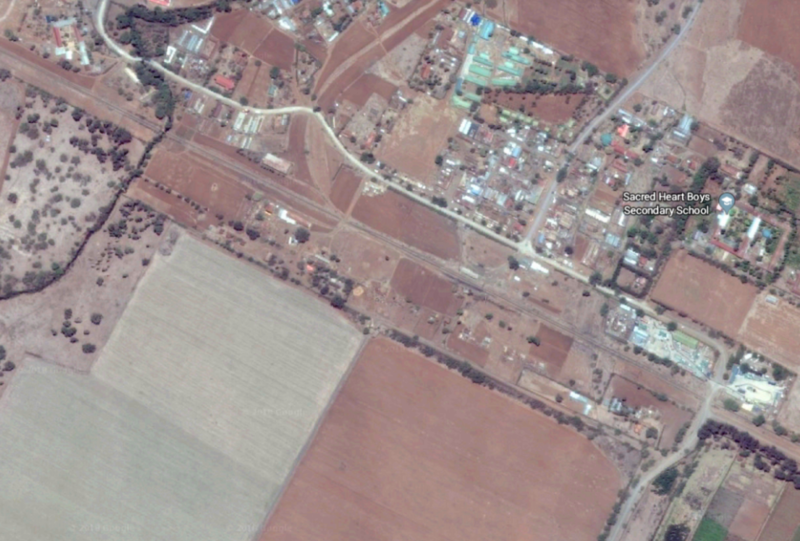 The satellite image below shows both the MPD and the Nakuru Sidings. 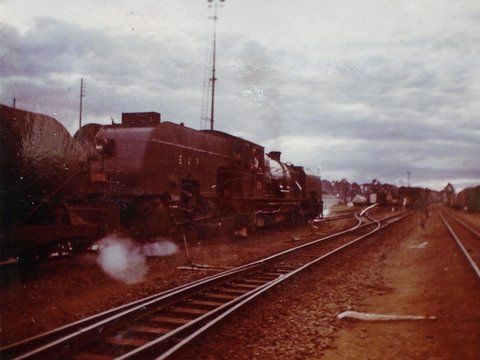 After leaving Nakuru marshalling yard, trains travelled east to the junction with the Kisumu line. 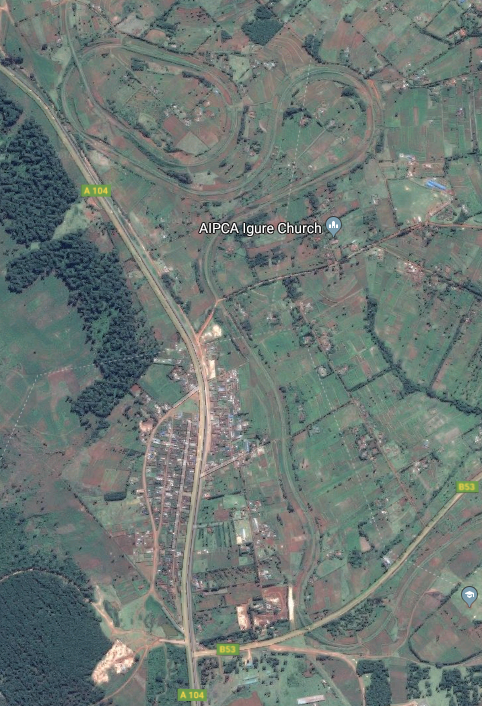 After that junction the line turned north through Kiamunyi and then west to Menengai Railway Station which is close to Barclays Airport and some distance from the volcanic crater of the same name which is actually due north of Nakuru. 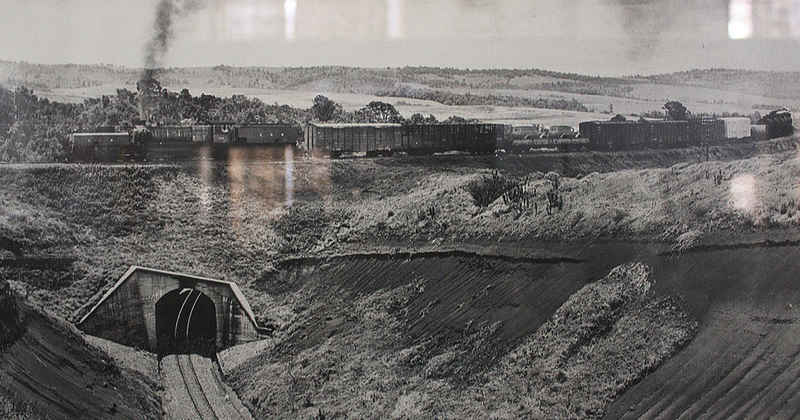 The adjacent image is a very early picture of Menengai Railway Station building. 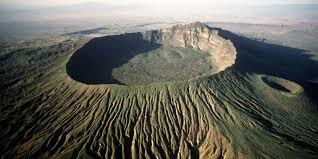 Menengai Crater is a massive shield volcano with one of the biggest calderas in the world. 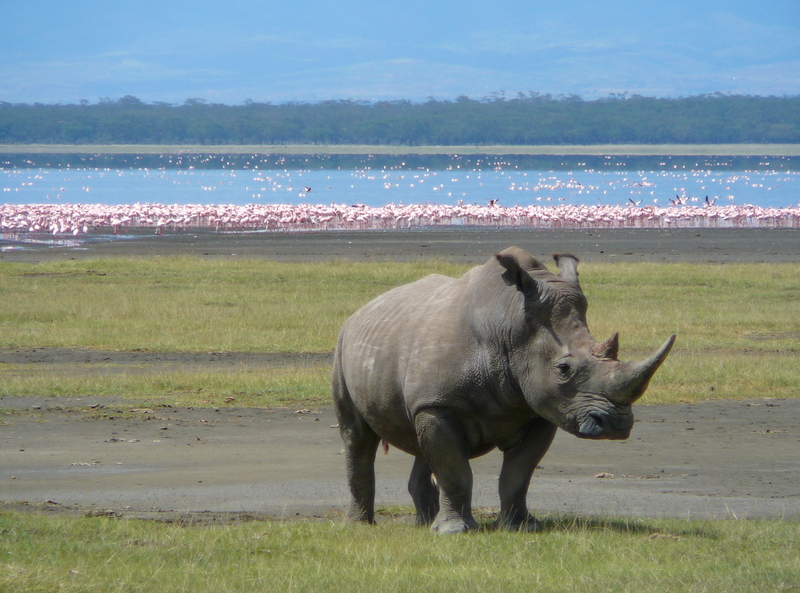 ?It is located in the Great Rift Valley, Kenya and is also the largest volcano caldera in Kenya as well as the second largest volcano caldera in Africa. Farmland occupies its flanks. The Menengai Crater is located on the floor of the Rift Valley. The volcano formed about 200,000 years ago and the prominent 12 x 8 km caldera formed about 8000 years ago. The caldera floor is covered with numerous post caldera lava flows. The Menengai volcano is considered one of the best-preserved Krakatau-style calderas in the world. 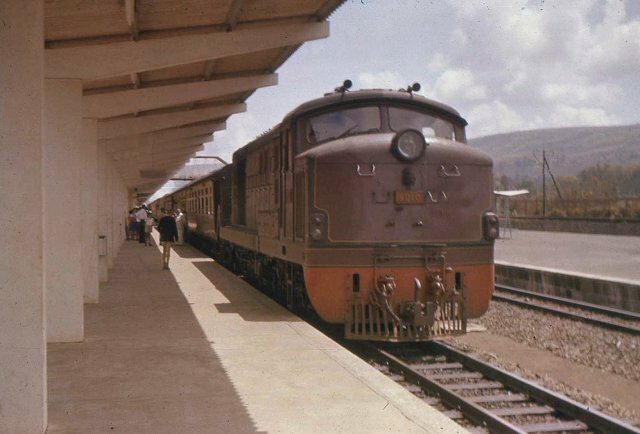 Initially travelling in a west-northwest direction, the railway swings round to the north as it reaches the next station/halt on the route, Visoi, just before leaving Nakuru County and entering Baringo County. The line then heads to Esageri, meandering around to follow the contours, and on to Sabatia. 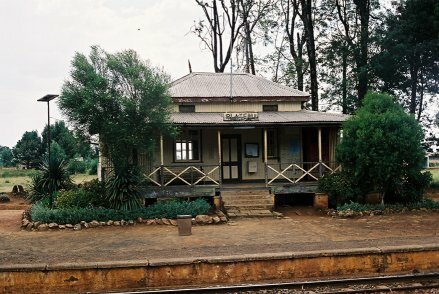 Sabatia Railway Station. The line snakes around from Sabatia to Maji Mazuri, circling the north side of Koibatek Forest. Koibatek Forest. 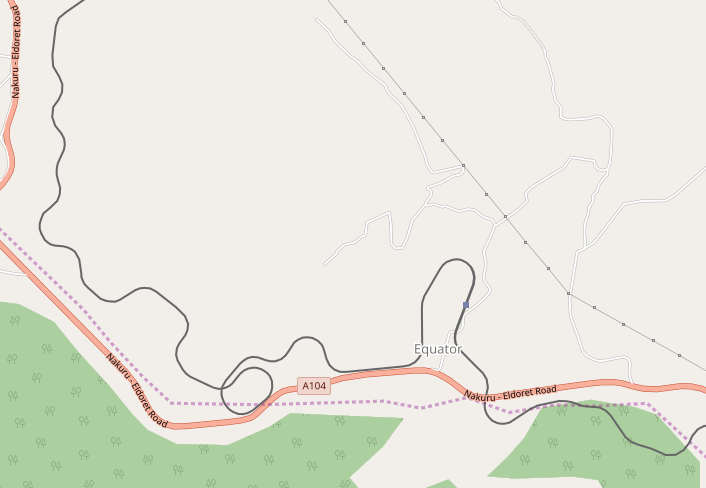 Maji Mazuri is a settlement in Kenya’s Baringo County along the Makutano-Ravine-Kampi Ya Moto highway. 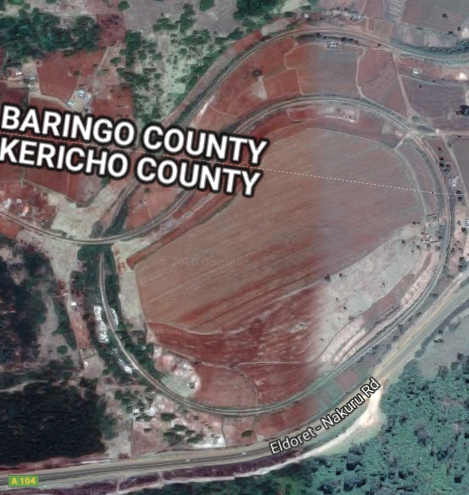 This is the most southerly tip of the greater Baringo area. It neighbors Kericho’s Londiani and Nakuru’s Kamara areas. The settlement was formed by migrants who used to work in the Koibatek Forest but were either retrenched or retired at one time. As such Maji Mazuri is home to people from different ethnic groups of Kenya. After Maji Mazuri come Makutano and Equator. 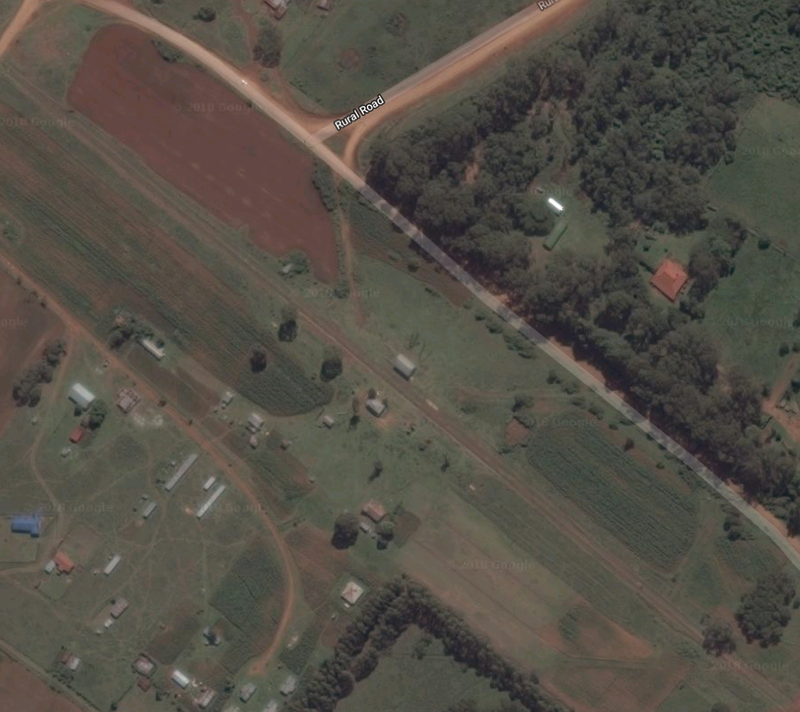 The line reaches Makutano in a meandering route close to the B53 (D314) road. By now the line is,for a very short distance, back in Nakuru County. The map below shows the route of the line and the County boundary. 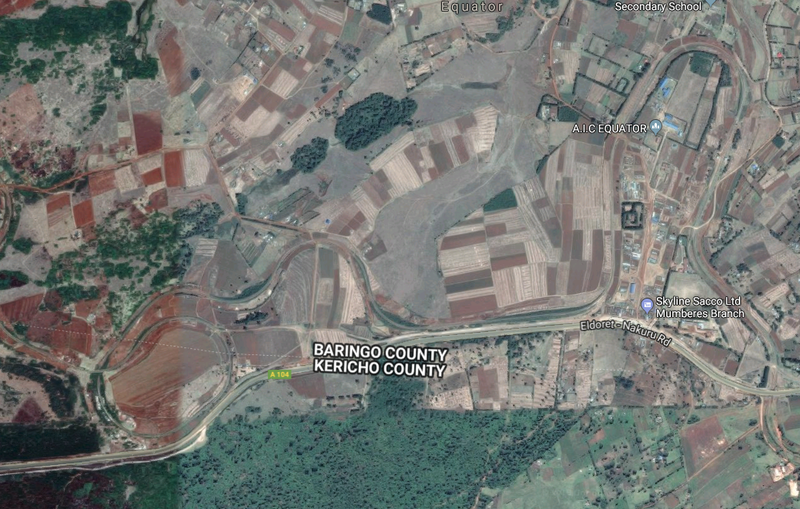 It also shows, to the north of Makutano township (and back in Baringo County),the second spiral on the line from Mombasa to Kampala. The third is just a short dicatnce beyond the next station, Equator. 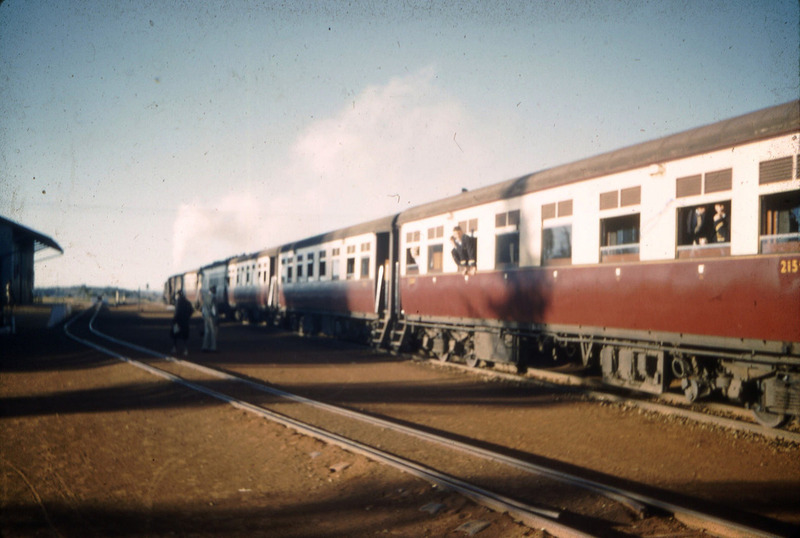 A Kampala bound School Train somewhere in the Highlands – possibly west of Maji Mzuri. The dining car is the fourth coach from the front of the train; the third coach is probably a kitchen car. (c) Malcolm McCrow. 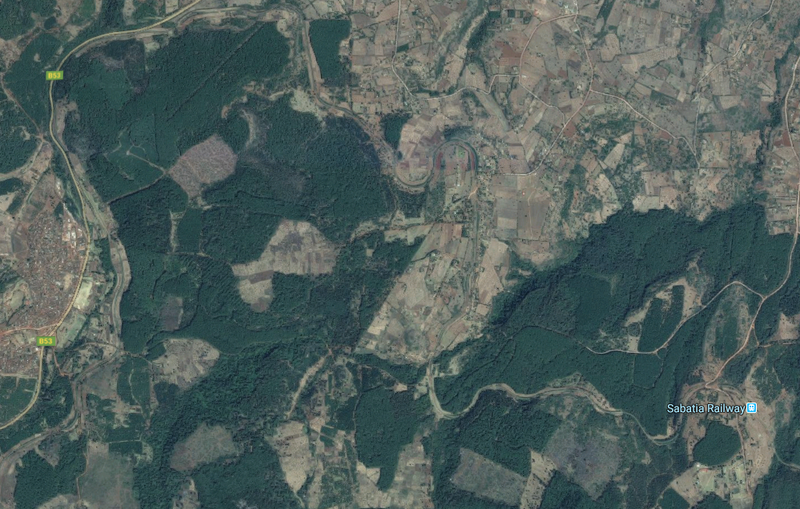 The spiral is also shown on the adjacent satellite image – at the top of the picture next to A104 road to Eldoret. Sadly, in 1994, I think I missed this and the next spiral because day had turned to night at this point on the journey. Pictures of the spiral seem to be in short supply. The one immediately below is of the royal train negotiating the spiral. 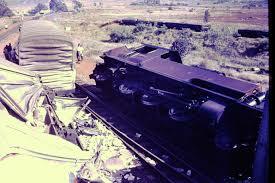 It was carrying the Queen Mother to Eldoret. We will discover the remaining spiral on the line when we look at the length between Kampala and Kasese in due course. The spiral at the Equator north of Makutano. Despite the legend under this picture (taken through glass) which says that this is an image of the spiral between Equator an Timboroa, careful examination of the layout of the two spirals indicates that this is the spiral bewteen Equator and Makutano. The station at Equator is better documented, than others we have already passed, in photographs, particularly on Malcolm McCrow’s website. 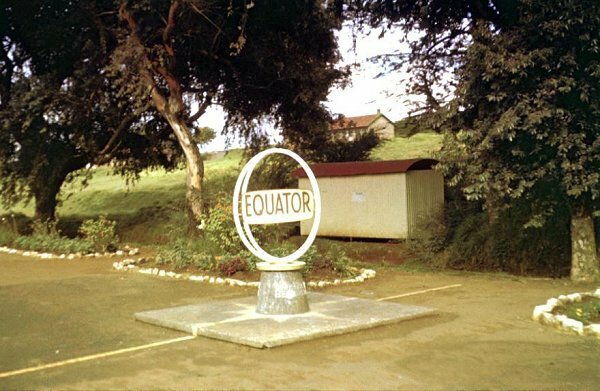 The equator runs across the platform at Equator Railway Station. A “Whistle” diamond sign is just visible at the end of the platform. 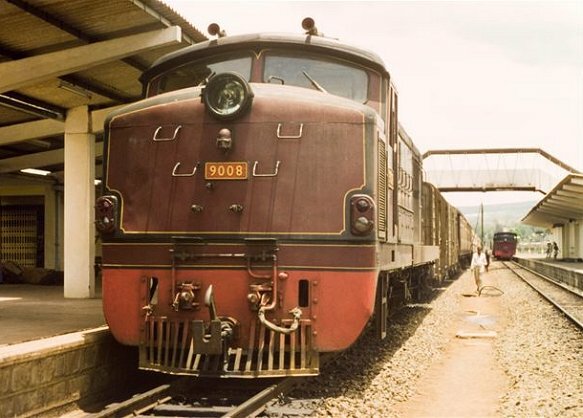 Generally the Mail Train and School Trains did not stop at Equator, but a first class ticket holder on a Mail Train could request a halt at any station where a run through would be the norm. School Trains would stop if booked in advance, (c) Malcolm McCrow. 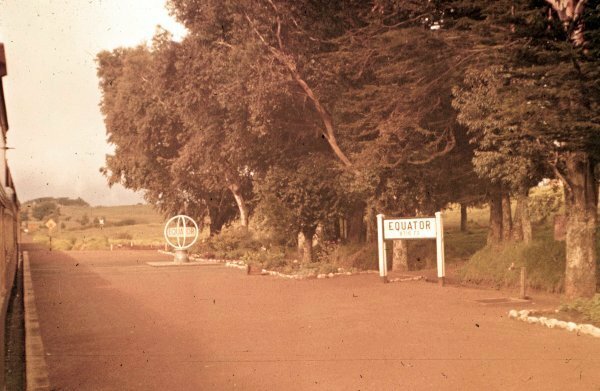 Equator. 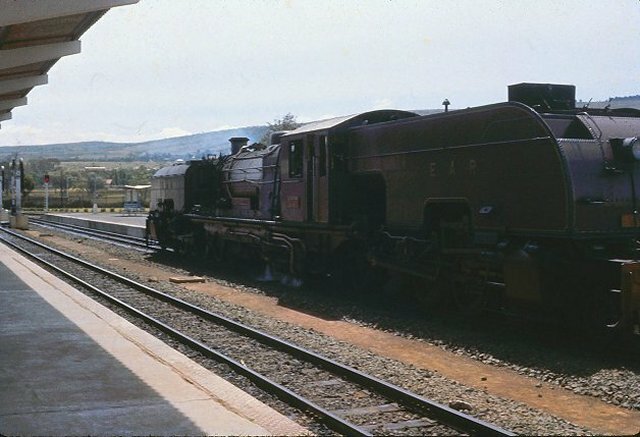 Observant passengers would have noticed different equator signs along the trackside as the train wound its way over the equator at least three times.It has been suggested that the train crossed the equator 5 times, but only three points seem to be marked by signs, (c) Malcolm McCrow. 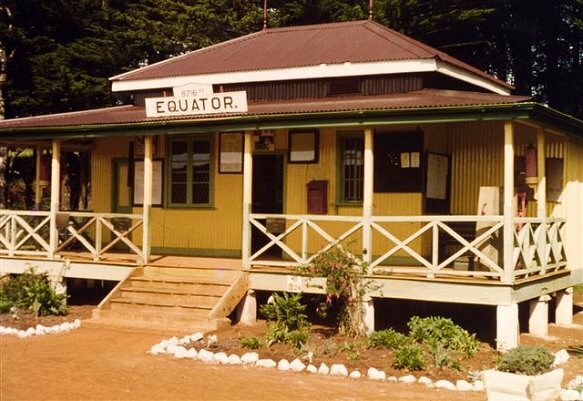 The station building at Equator! (c) James Lang Brown.. The map and satellite image below show the station at Equator and the second spiral, of which I can find no photographs. 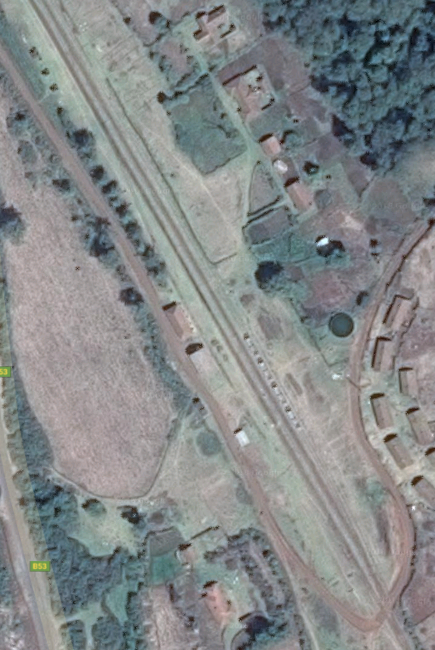 The adjacent satellite image is a closer view of Equator Railway Station, and the image blow is a closer view of the spiral. I’d be really interested in seeing any photographs of the two spirals in this post, but particularly of the one to the west of Equator Railway Station. 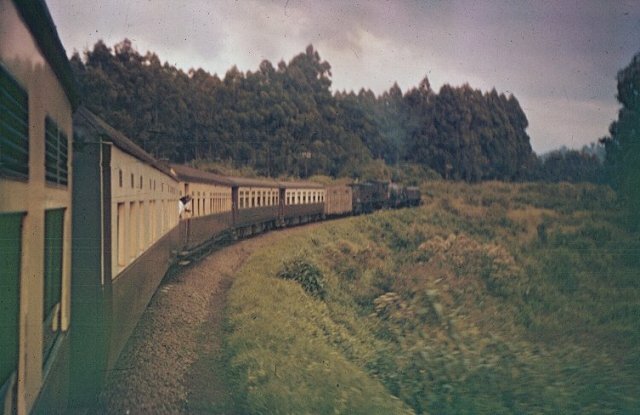 As the railway leaves Equator Railway Station in a Westerly direction it is close to the summit of the line. Equator Railway Station is 8716ft (2492 metres) above sea-level. 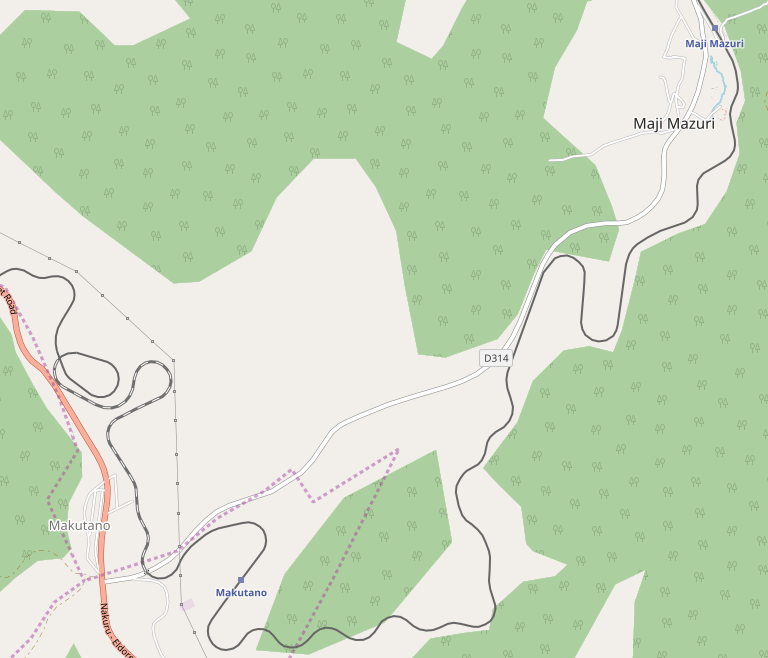 The summit of the line reaches a height of 9136ft (2785 metres) above sea-level. 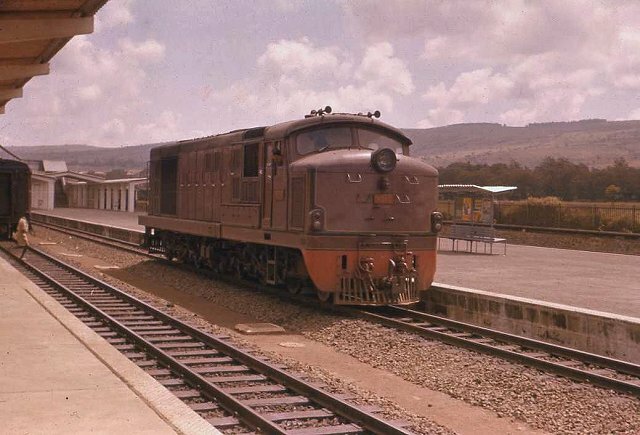 The picture below is a Kenya-Uganda Railway (KUR) Postcard showing KUR Class EC1 still in grey but sporting East African railways and Harbours (EAR&H) Class 50 number board as it heads a Nairobi bound freight over the summit (c) EAR&H. 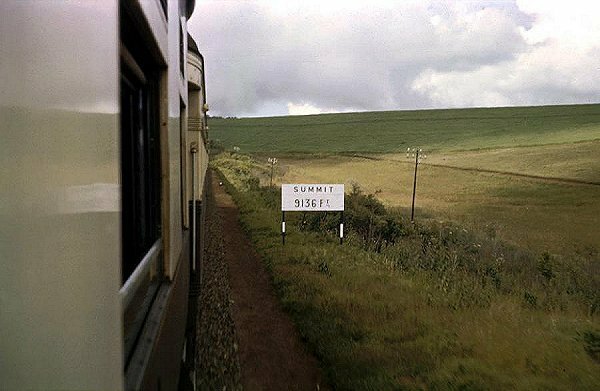 The summit viewed from a Nairobi-bound School Train taken from a second class coach behind the only first class one in the consist, (c) Malcolm McCrow. 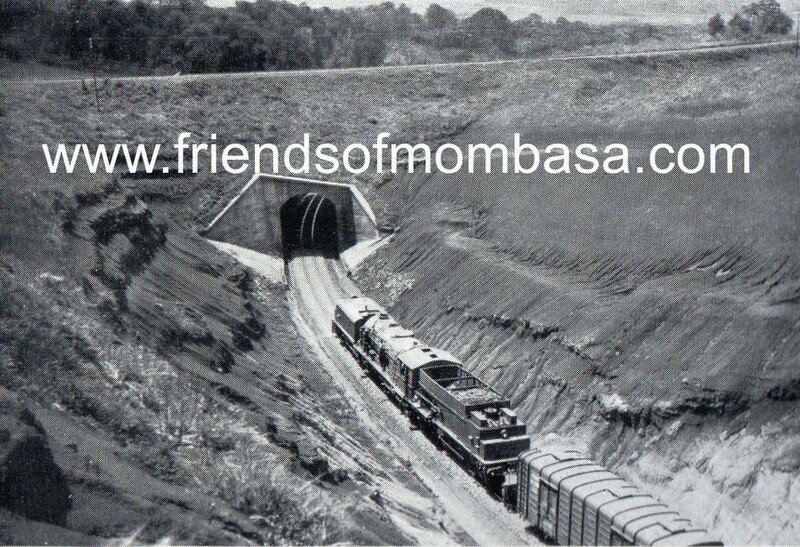 The railway ran parallel to the Nakuru-Eldoret (A104) road, north from the spiral, over the summit, to arrive at Timboroa. 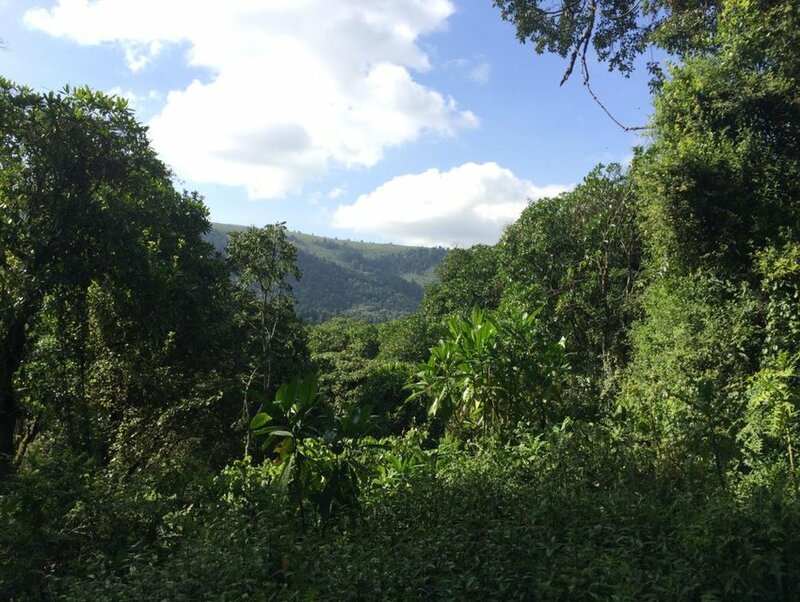 Timboroa is just within Baringo County, very close to the border with Uasin Gishu County. 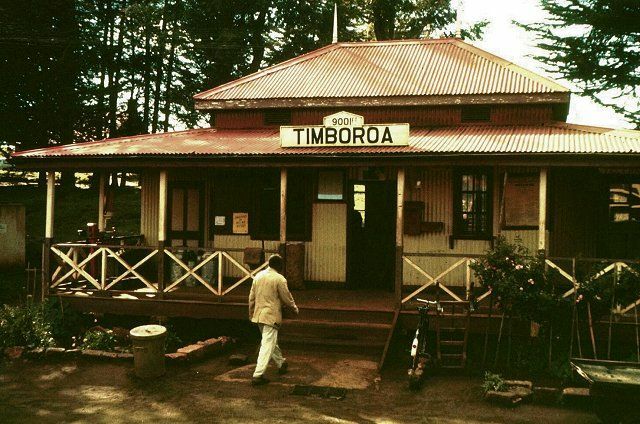 At an altitude of 9001ft (2744 metres), Timboroa Railway Station is the 11 highest (non-cable) railway station in the world, and the highest railway station in the Commonwealth. 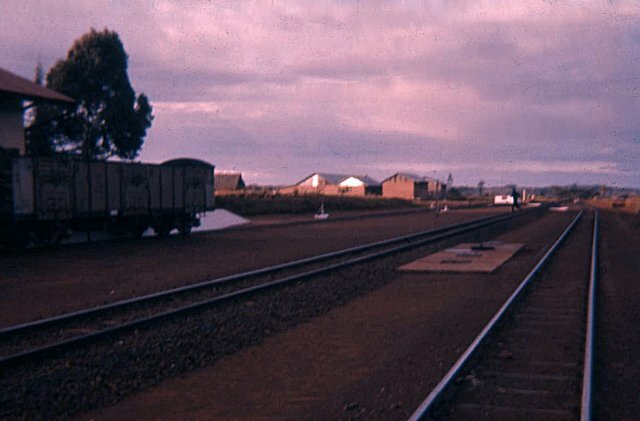 Timboroa Railway Station. 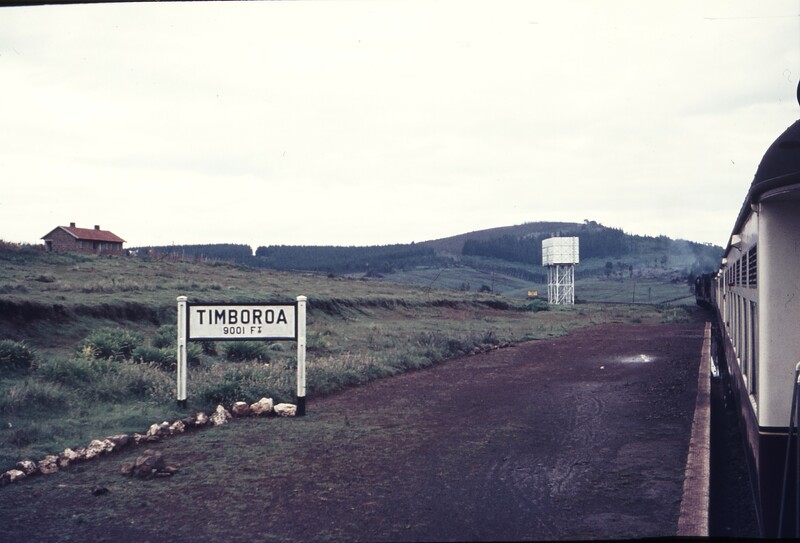 111539: Timboroa Kenya Looking East, (c) Weston Langford. 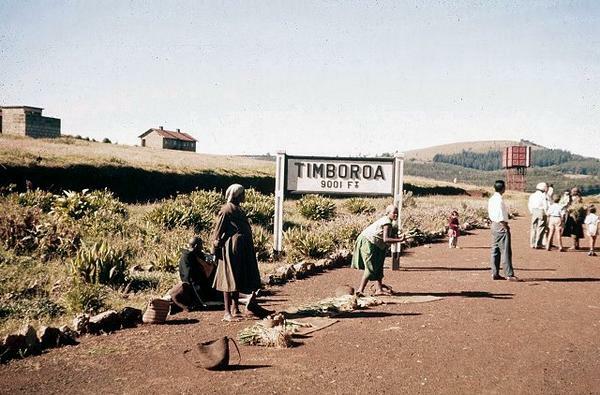 From Timboroa,the railway travelled north through Ainakboi, Tumeiyo, Kipkabus and Kaptagat Stations. 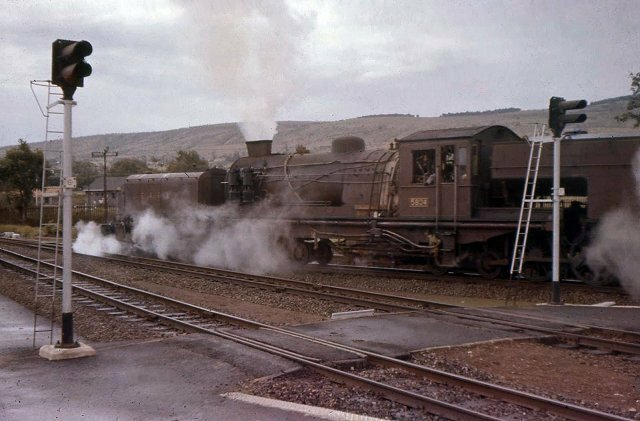 1961 a school train stops at Kaptagat Station ©Norman and Irene Campbell. 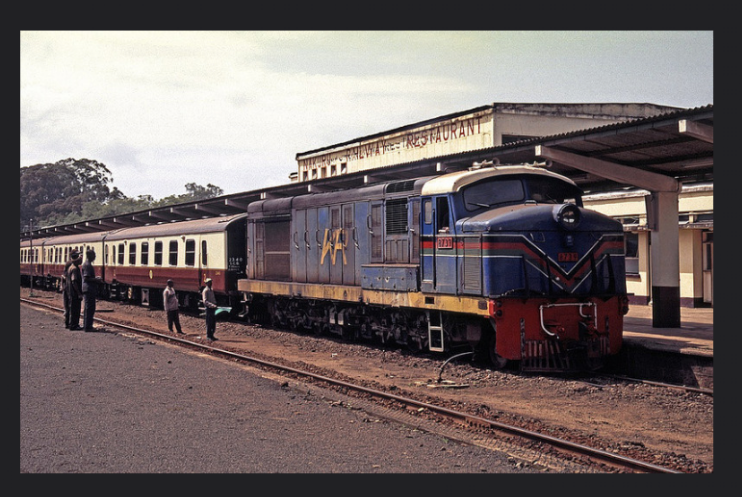 Trains travelling East would leave Eldoret in the dark, and arrive at Kaptagat just after dawn, (c) Malcolm McCrow. 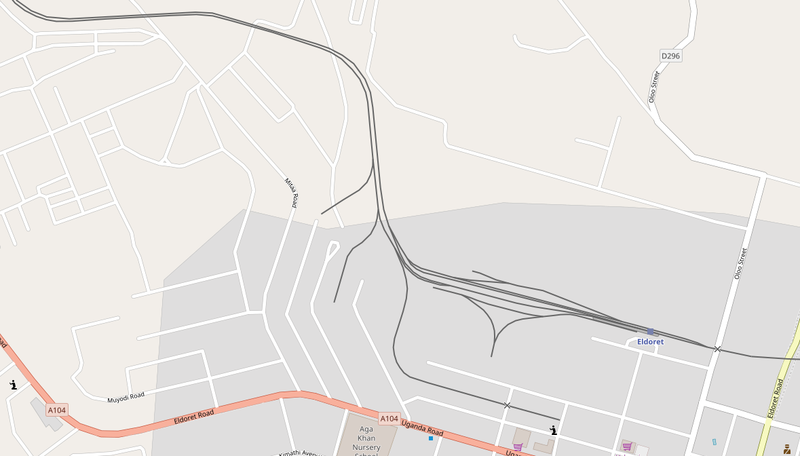 The adjacent satellite image shows Kaptagat Station which is in a loop in the line which belies the direction of travel. The railway is now travelling in a North-westerly direction and continues from Kaptagat to Cheploske and Plateau. 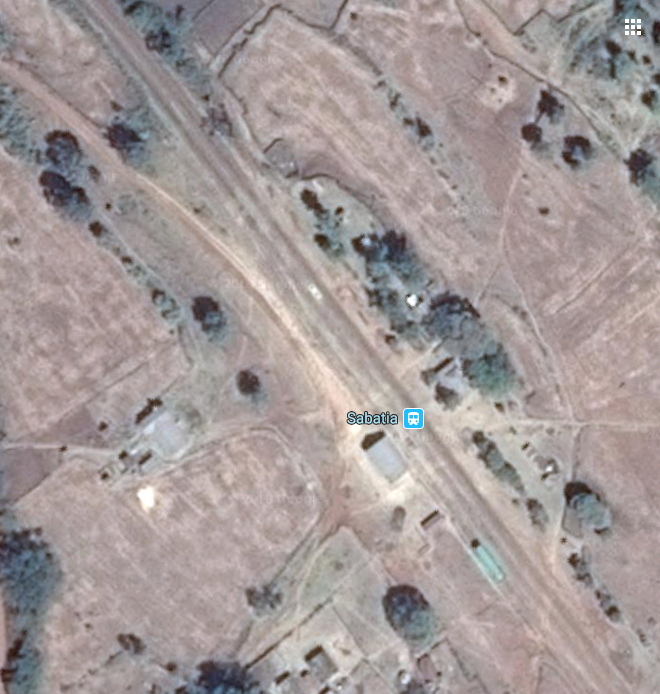 The satellite image below shows Plateau Station. 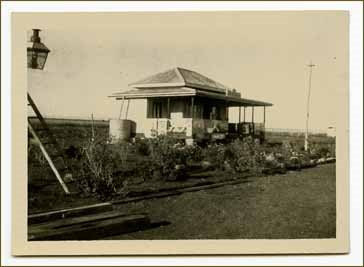 The next photograph shows Plateau Station building. 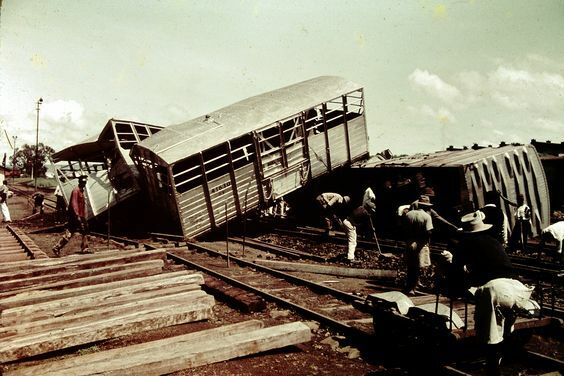 After Plateau, one station remained, Sosian, before trains reached Eldoret. Eldoret is the fifth largest city in Kenya, second only to Kisumu in Western Kenya and the end of this stage of our journey! 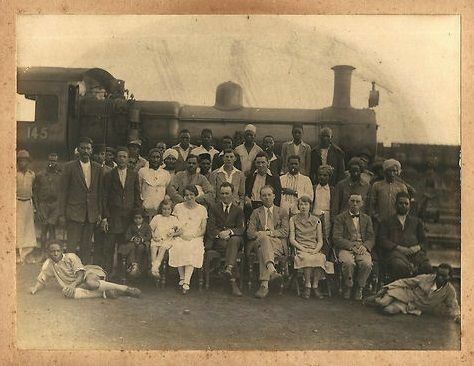 The first train picture below is a very early image from colonial times. The map below shows the track layout at the Station. Class 60 no. 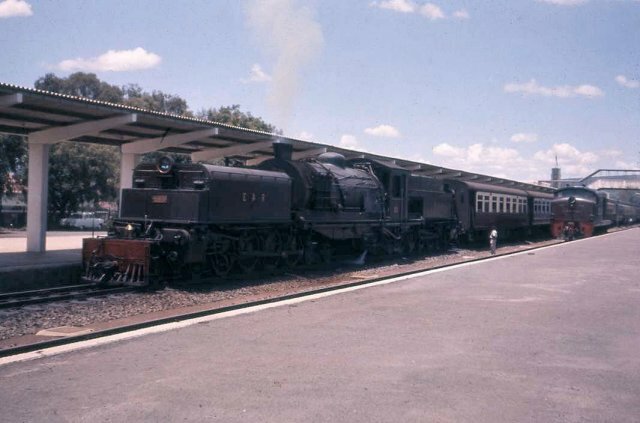 6008 at Eldoret in 1958. 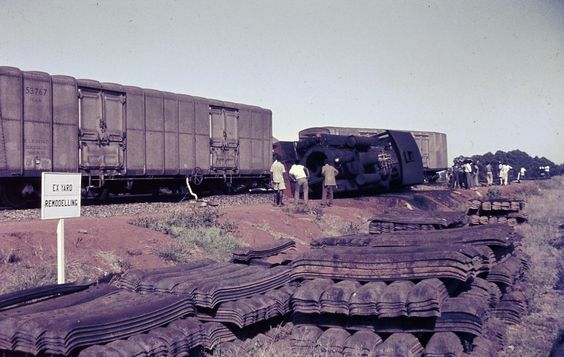 Derailment, Eldoret Yard, 1963. 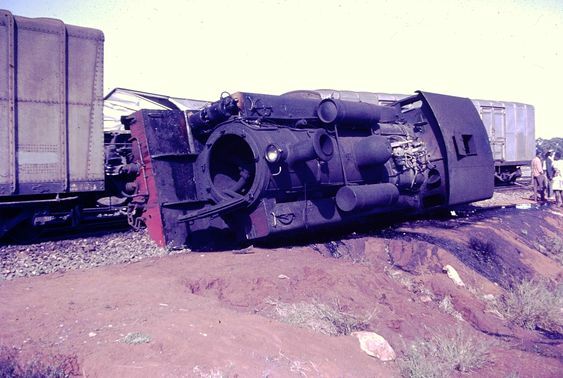 Derailment in Eldoret Yard in 1964, (c) Neil Rossenrode. 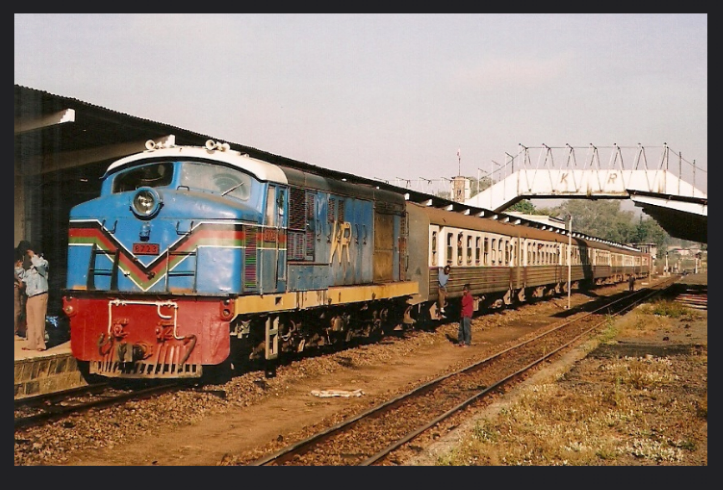 Class 60 in Eldoret Yard above and below, (c) Peter Davis.,. “Investing in Uganda’s Mineral Sector” (PDF). http://ugandainvest.com/mining.pdf, accessed on 20th June 2010 – no longer available. 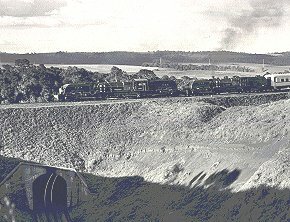 Wikipedia, Uganda Railway; https://en.wikipedia.org/wiki/Uganda_Railway, accessed 15th May 2018.
http://www.oldcambrians.com/Train4.html, accessed 24th May 2018.
https://www.pinterest.co.uk/pin/462463455481251467, accessed 26th May 2018.
https://www.flickr.com/photos/128839707@N03/17430623451/in/photolist-21LmYUY-fN1DNS-dcEEiS-eEjGME-e6J3D7-hGTeBd-RWxLwQ-aeKxoR-F78ngU-RAuADh-dE1BLJ-RWy87C-syhv5x-iWKDzQ-nBk4b-21SDq8g-S7wXDq-sgJGAW-sy9Psw, accessed on 26th May 2018.
http://www.mccrow.org.uk/eastafrica/eastafricanrailways/KampalaNairobi.htm, accessed 24th May 2018.
https://www.flickr.com/photos/youthwith/6775572039/in/photolist-bjJzvz-syhv5x-kb1L9-ijpMZS-5U44mD-bn2NzC-bojoXR-6PHLzC-dxyBy5-ec8xiY-G1SxDj-sgJGAW-6n7s4y-sy9ipf-6riFRd-6riAgq-Xpopdx-4gWSYU-48Eko1-GYcSmb-9RLhA8-F8vFZm-hbYVxX-6SrGXC-mRCD5j-bAnDhS-ab8ZBs-6SrJbQ-cVYkNW-nrEveJ-aeNdcs-dcEEiS-88qc2u-bW6xBx-anC4UM-9phTE9-dhLWA6-9yrcd2-ndUWcA-ow7q5Q-omunYR-5fi4HZ-dhMkh3-9PQA1K-ahCmqV-dhMj1M-9yJt2y-dhMpvT-ejtLxL-dhMpMz, accessed on 26th May 2018.
https://www.flickr.com/photos/128839707@N03/17429023272/in/photolist-sy9ipf-6riFRd-6riAgq-Xpopdx-4gWSYU-48Eko1-GYcSmb-9RLhA8-F8vFZm-hbYVxX-6SrGXC-bAnDhS-ab8ZBs-6SrJbQ-cVYkNW-nrEveJ-aeNdcs-dcEEiS-88qc2u-bW6xBx-anC4UM-9phTE9-dhLWA6-9yrcd2-ndUWcA-ow7q5Q-omunYR-5fi4HZ-dhMkh3-9PQA1K-ahCmqV-dhMj1M-9yJt2y-dhMpvT-ejtLxL-dhMpMz-7Va4eP-cghReq-dhM7nf-dhMhsp-CVvK3Z-ejtLMG-ej6uDv-cghR8s-chyaZb-9XjosD-dhMtx2-ejo3Di-dhMcg8-aeKpAn, accessed on 26th May 2018.
https://www.flickr.com/photos/31312468@N00/6816119855/in/photolist-bojoXR-6PHLzC-dxyBy5-ec8xiY-G1SxDj-sgJGAW-mRCD5j-6n7s4y-sy9ipf-6riFRd-6riAgq-Xpopdx-4gWSYU-48Eko1-GYcSmb-9RLhA8-F8vFZm-hbYVxX-6SrGXC-bAnDhS-ab8ZBs-6SrJbQ-cVYkNW-nrEveJ-aeNdcs-dcEEiS-88qc2u-bW6xBx-anC4UM-9phTE9-dhLWA6-9yrcd2-ndUWcA-ow7q5Q-omunYR-5fi4HZ-dhMkh3-9PQA1K-ahCmqV-dhMj1M-9yJt2y-dhMpvT-ejtLxL-dhMpMz-7Va4eP-cghReq-dhM7nf-dhMhsp-CVvK3Z-ejtLMG, accessed on 26th May 2018.
https://www.theeagora.com, accessed on 21st May 2018.
https://en.m.wikipedia.org/wiki/Menengai, accessed on 26th May 2018.
https://en.m.wikipedia.org/wiki/Rongai, accessed on 26th May 2018.
https://en.m.wikipedia.org/wiki/Maji_Mazuri, accessed on 27th May 2018.
http://www.friendsofmombasa.com, accessed on 15th May 2018.
https://www.flickr.com/photos/bvohra/8223072164/in/photolist-dwDoSh, accessed on 26th May 2018.
https://twitter.com/kresearcher/status/560091036849287168, accessed on 27th May 2018.
https://www.pinterest.co.uk/pin/90986854943791222/?lp=true, accessed on 27th May 2018.
http://www.westonlangford.com, accessed 24th May 2018.
https://www.pinterest.co.uk/pin/559361216210820409, accessed on 27th May 2018.
https://www.pinterest.co.uk/pin/462463455481301933/?lp=true, accessed on 27th May 2018.
https://www.pinterest.co.uk/pin/482377810082083293/?lp=true, accessed on 27th May 2018.
https://www.pinterest.co.uk/pin/559361216210820386/?lp=true, accessed on 27th May 2018.
https://www.pinterest.co.uk/pin/559361216210959114, accessed on 27th May 2018.
https://www.flickr.com/photos/128756940@N02/15602334132/in/photostream, accessed on 27th May 2018. This entry was posted in Railways Blog, Uganda and Kenya Railways on May 27, 2018 by rogerfarnworth. Wikipedia is wrong, the line from Kampala to Kasese never went beyond Kasese. 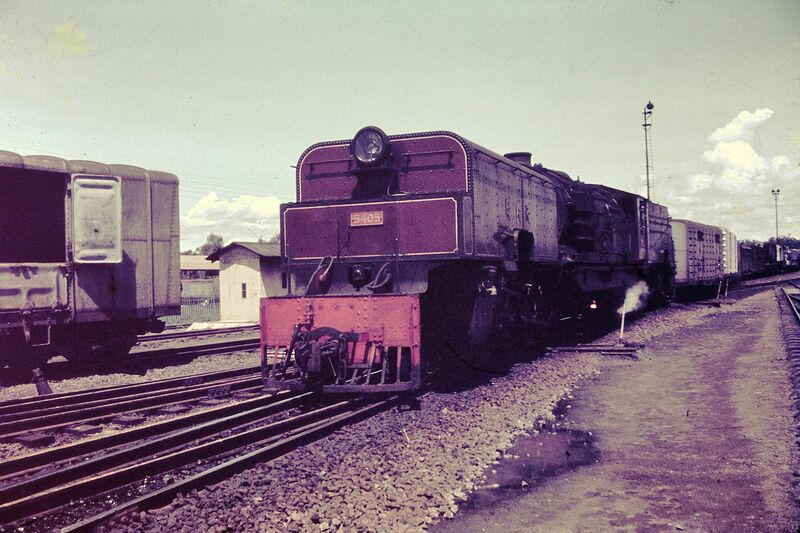 It is the branch line from Tororo to Pakwach East which was extended to Arua in 1969, not 1964. Thank you. I hope that I have credited the pictures correctly. I have tried to do so throughout.